Here’s how you to fix Cydia Extender provision.cpp:81 and provision.cpp:71 error using a compatible Windows PC or Mac. The good old simple jailbreaking days are gone, with modern jailbreaking bringing about a myriad of issues. We not only have IPA-based jailbreaks like yalu102 to actually liberate a device, but also additional tools like Cydia Impactor and the newly released Cydia Extender to actually handle certain parts of the jailbreak and post-jailbreak process. Cydia Extender didn’t turn out to be the solution we had hoped for, but with the tool being modded to work with free Apple IDs, more and more people are trying to get up and running with it on their jailbroken iOS 10 devices for signing yalu102 jailbreaking app on the go without computer. Errors in this case are only natural. If you’re encountering an annoying provision.cpp:81/provision.cpp:71 error thrown out by Cydia Extender at the most inopportune of times, no need to panic or worry, as it can be easily fixed using a simple trick. We show you how in this step-by-step guide. Step 1: First of all, you will need to plug the affected device into your computer via the usual USB connection. Step 2: Launch the latest version of Cydia Impactor on the Windows PC or Mac. On a Mac, with the Cydia Impactor app active, click on the Xcode option from the top file menu. Windows users can simply click Xcode from the file menu in the Cydia Impactor window itself. Step 3: With this menu active, select the Revoke Certificates option. There are only two options in that list so it shouldn’t be too difficult to find. 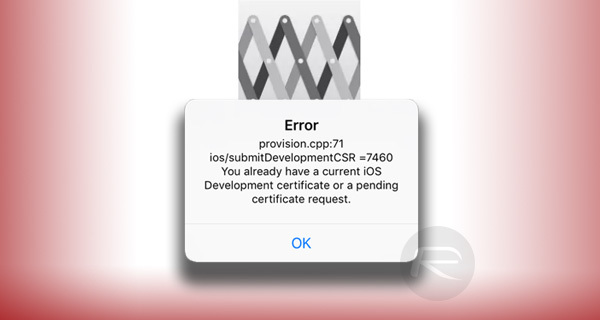 In most cases, that simple process should actually fix and remove the existence of the provision.cpp:81/provision.cpp:71 error messages being displayed when using Cydia Extender. However, in some very rare circumstances, it could also mean that the wrong Team ID is being selected after inputting an Apple ID, or in even more rare situations it may mean that everything needs to be removed and the entire process be re-run again. However, for the most part, revoking the certificates through Cydia Impactor with the device connected should provide solace from those annoying issues. ExtendLife from cydia from repo julio.xarold . com can revoke certificates right on the extender app. It can also auto-login, and it saves imported files on the app so you don’t need to download from the internet every time. Literally three button clicks and you’re re-signed. what cydia extender are you using? modified? Thanks Nick! work like a champ!! !